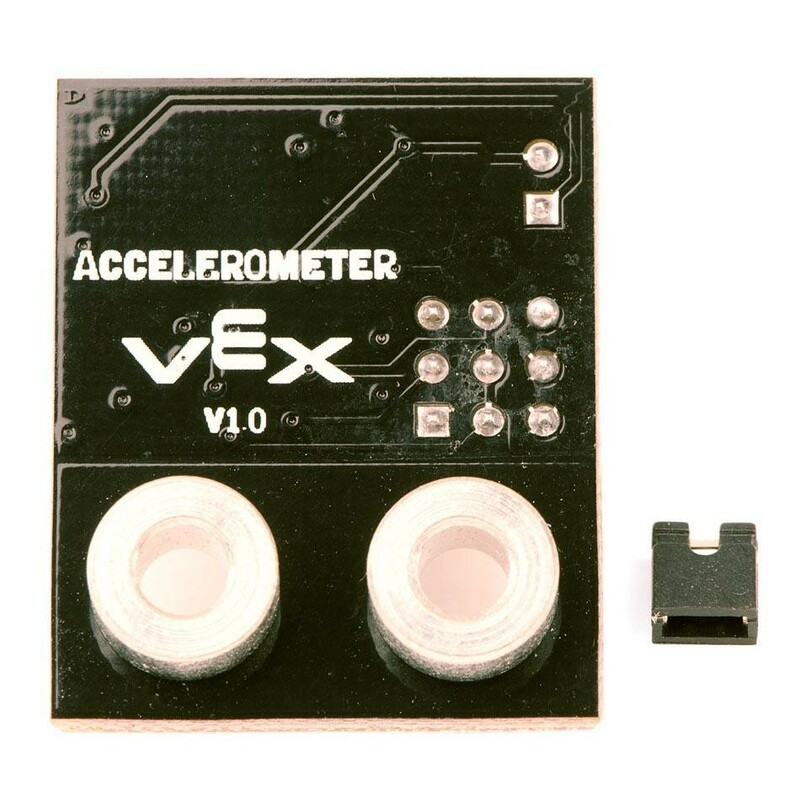 The VEX Accelerometer measures accelerations on three axes simultaneously. 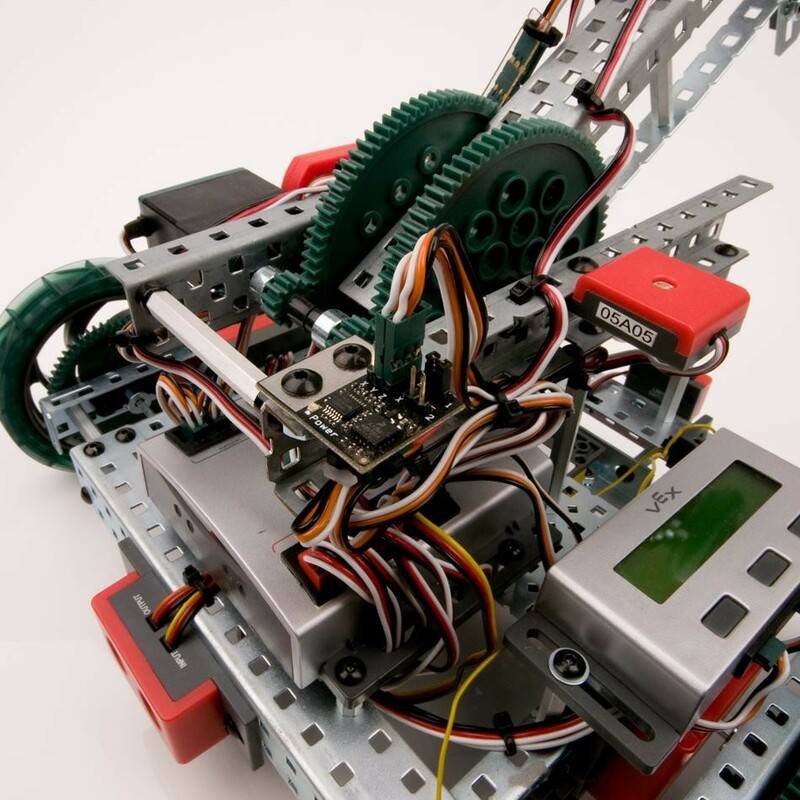 By measuring the acceleration of the robot, one can calculate the velocity of the robot, and more importantly the distance this robot has traveled. 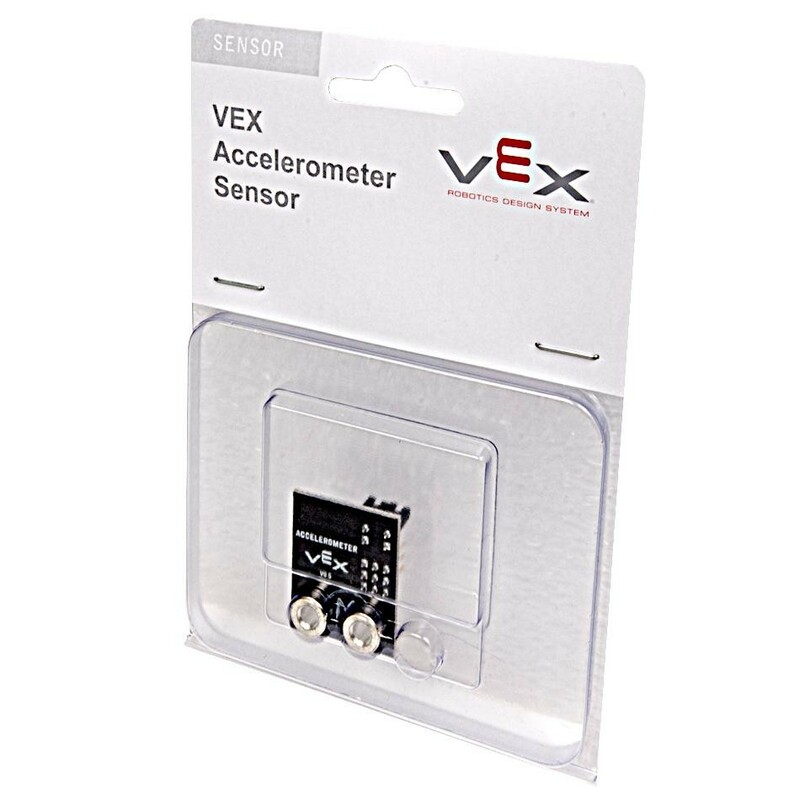 Accelerometers are also great for detecting collisions and determining if the robot is stopped or moving. Selectable sensitivity via jumper: ±2g and ±6g. Compatibility All VEX Microcontrollers, 3-Wire Extension Cables. 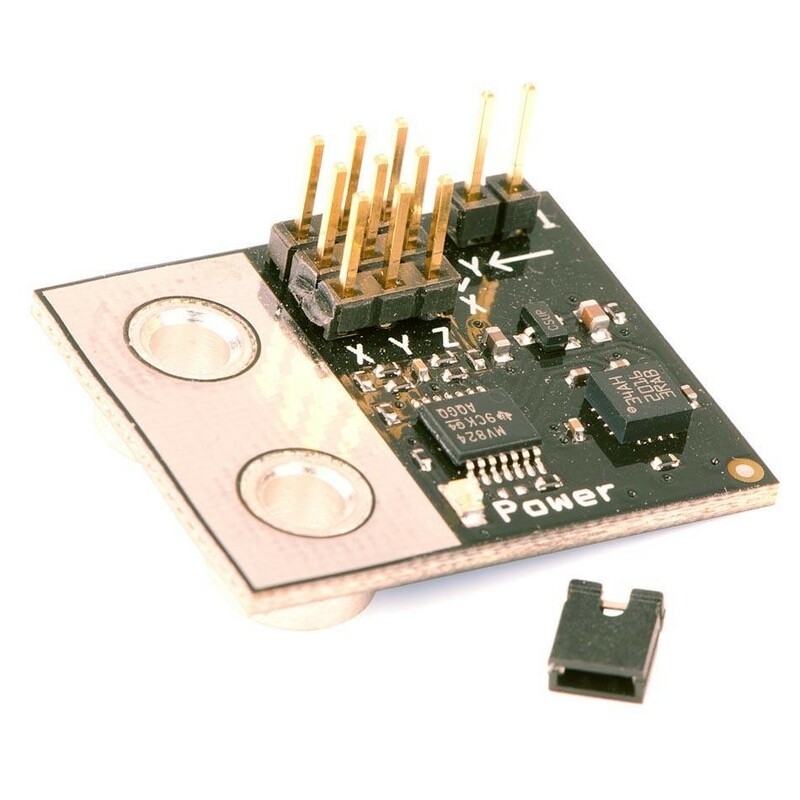 Inputs: The sensor will measure acceleration in both directions along each axis. 0.100 spaces pins (3 rows). 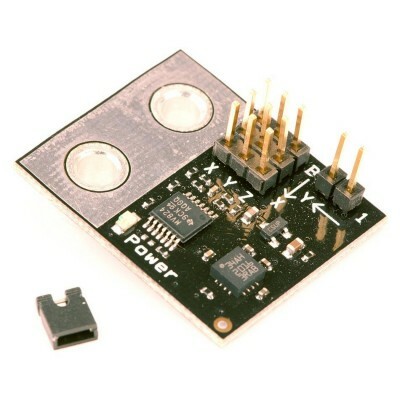 Connect to one analog input per axis (cables not included).